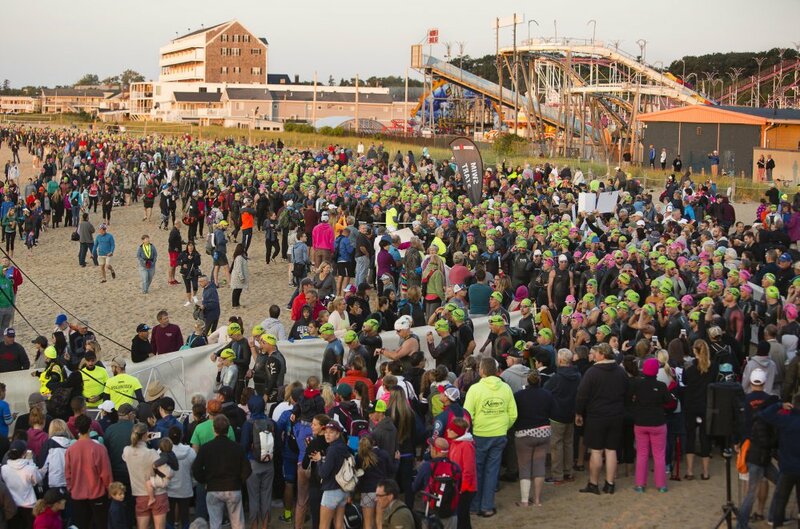 Athletes start the swim part of the Ironman 70.3 Maine triathlon in Old Orchard Beach on Sunday. 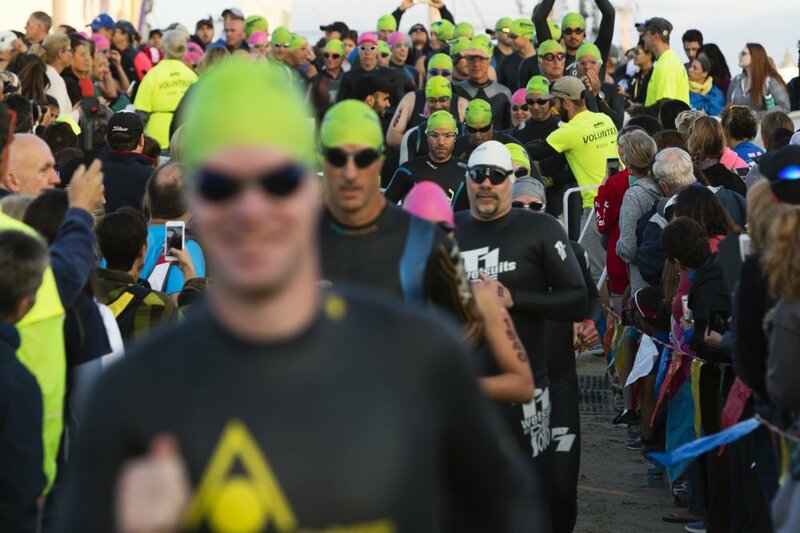 Competitors line up before the start of the swim portion of Sunday's race. 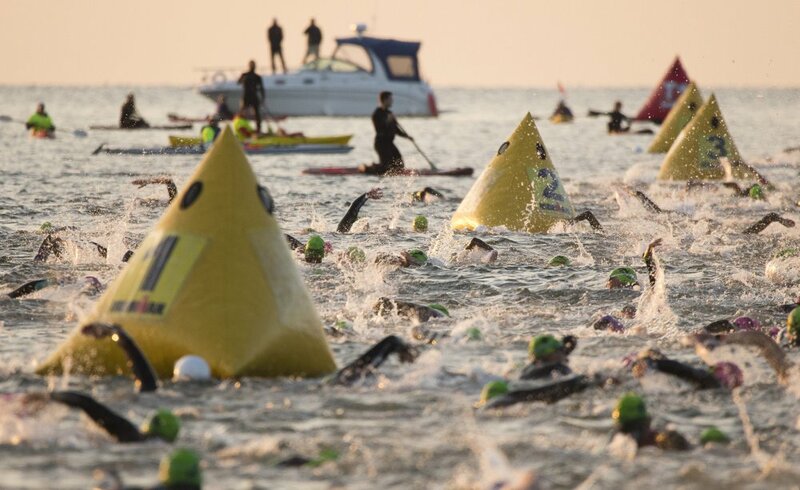 Athletes come through the gate to start the swim part of the race. 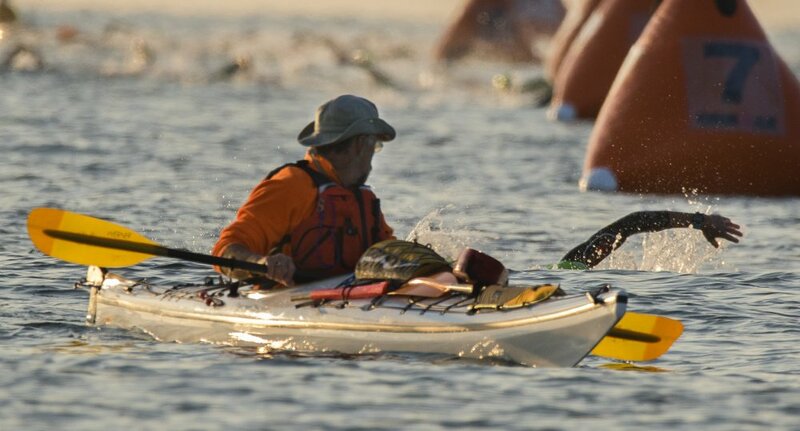 A man in a kayak watches the first competitors stroke toward the shore. 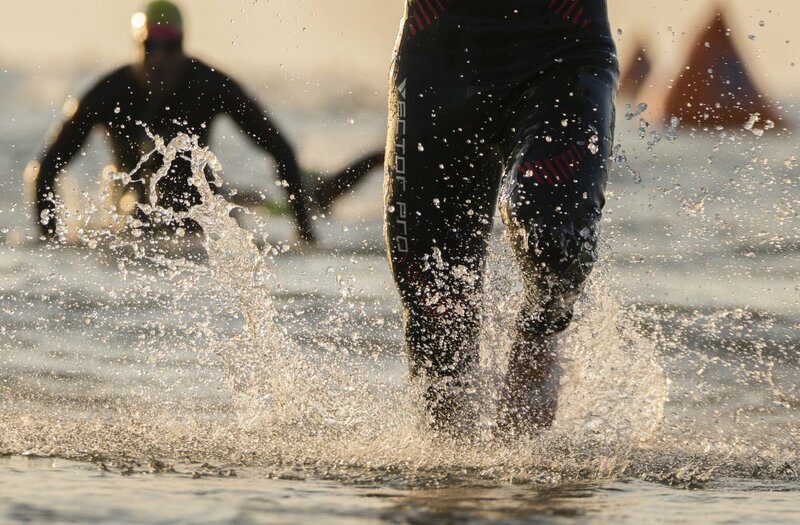 The first two swimmers race toward the shore. 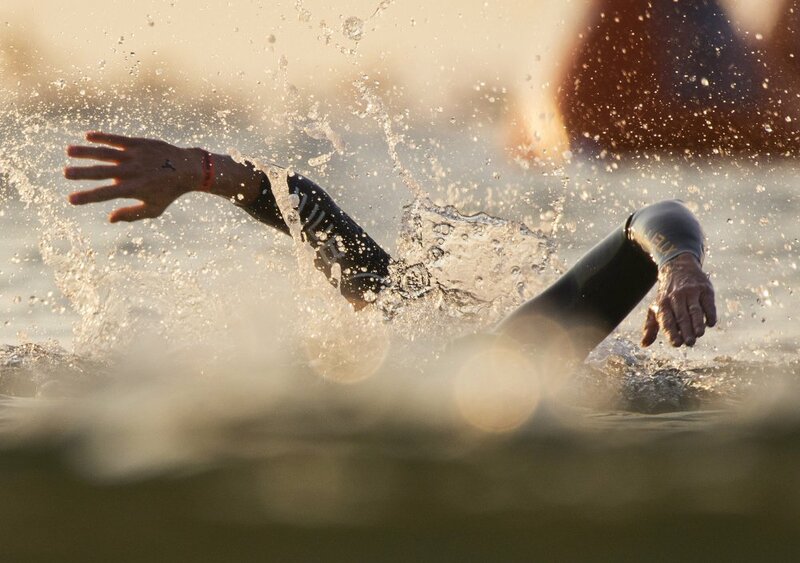 Swimmers exit the water during the first leg of the triathlon. 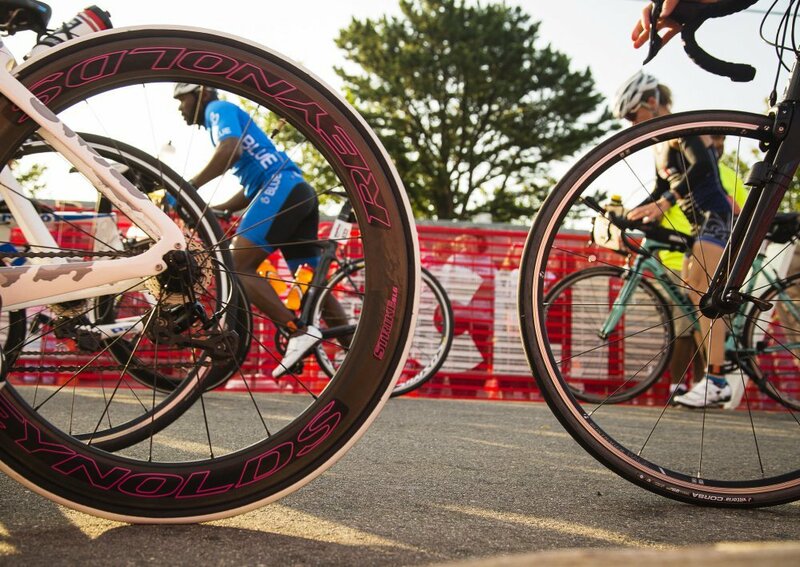 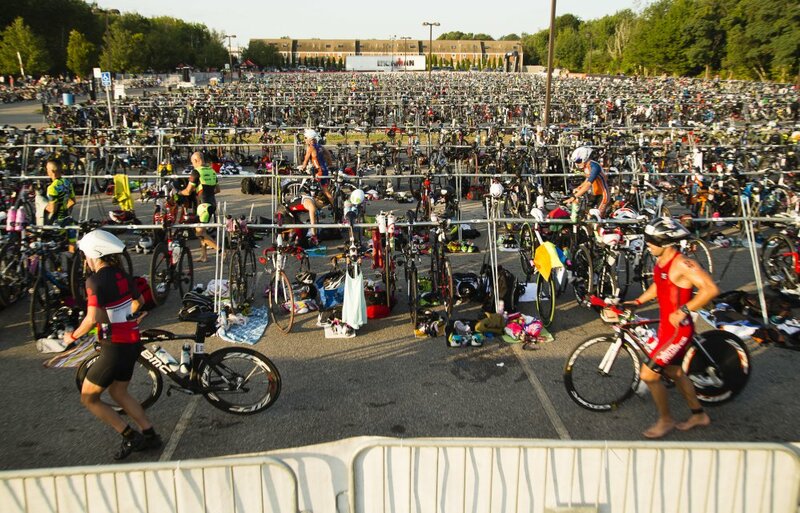 Athletes transition from the 1.2-mile swim leg to the 56-mile bike leg.